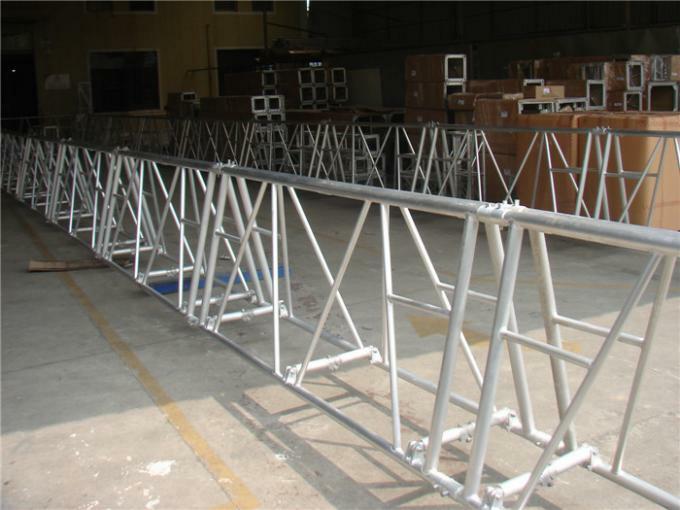 Folding Truss is a highly versatile and cost effective trussing system.t is a triangular truss and, as its name suggests, folds together to a flat width of 100mm. 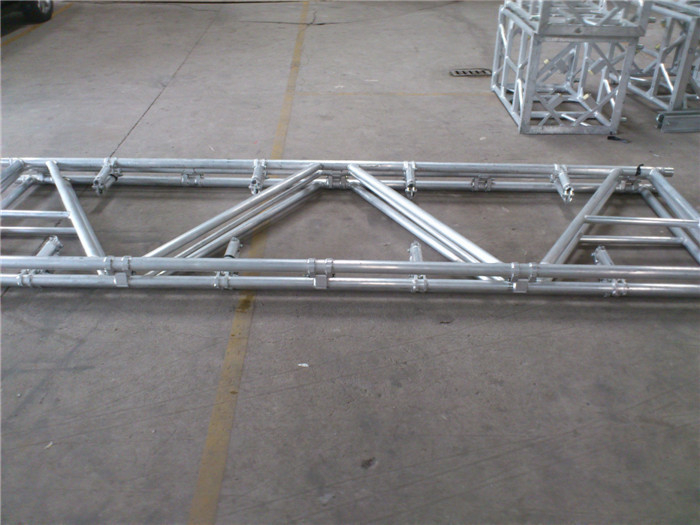 with the simple addition of two extra lugs on each face of Maxi corner and sleeve block, (a standard option), as it uses the same fork end fitting joints and main tube diameter and is the same overall size. 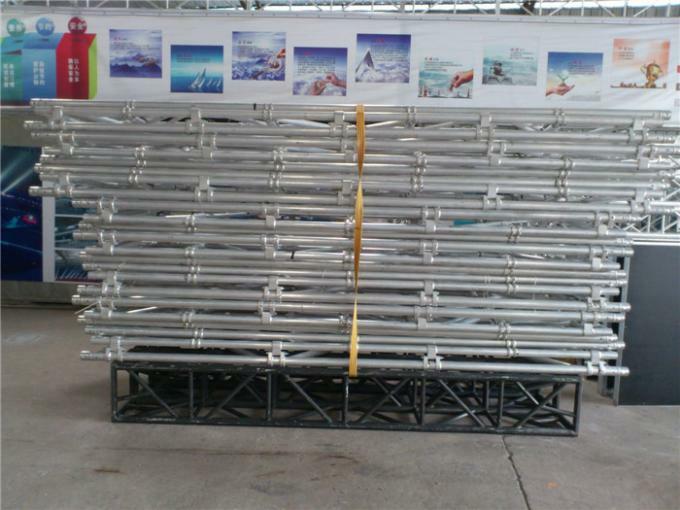 Available length is 0.5m - 4m.